It’s so simple but so true. The only way you can possibly change someone else is by changing yourself, which may in turn change the way he or she responds to you. So, if you are absolutely hell-bent on changing your guy or girl, you’ll have to start by shifting your focus back to you. Do something nice for him or her. Give him a positive reason to appreciate you. Behave in a way to support your intention (the change you’re hoping for from your partner). If you try showing your partner loving behavior and it doesn’t inspire him to be loving back, or at the very least get his attention, then get rid of him—he is junk-food. Be warned: if your lover says “People don’t change,” that means he or she will probably never change. People have to want to change, and even then it takes motivated work to achieve growth. Someone who has never wanted to change, and therefore hasn’t experienced much change, will frequently believe that change isn’t even possible. This person may also express negative opinions about therapy or simply question its purpose. All this means that when problems arise in your relationship, your partner is not going to be willing to change anything. He will most likely blame you for not loving him the way he is. I think it’s cowardly to expect anyone else to change while you stay the same. 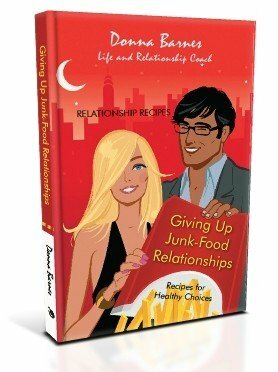 You can learn more about how to communicate better in my book Giving Up Junk-Food Relationships: Recipes for Healthy Choices.